The International Longshoremen’s Association (ILA) and employers represented by the New York Shipping Association (NYSA) said Tuesday they have reached tentative agreement on a six-year local contract for the Port of New York and New Jersey. 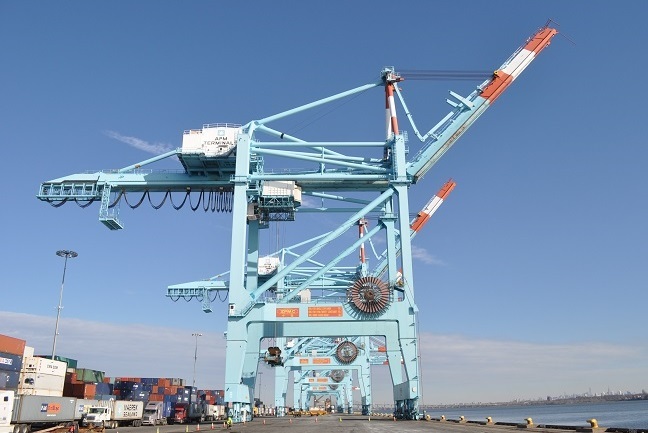 The deal follows a tentative agreement on a six-year master contract that was reached last month by the ILA and United States Maritime Alliance (USMX) for longshoremen working throughout the East Coast and Gulf of Mexico. The current contracts expire on Sept. 30. Both the master contract with USMX and contract covering local issues with the NYSA must be ratified by rank-and-file longshoremen and approved by employers. “New York is the largest and in many respects the most complex port on the East and Gulf coasts. We have reached a tentative agreement that is beneficial to both sides,” said Harold J. Daggett, ILA president, and John Nardi, president of NYSA, in a joint statement. “We are pleased that we could finalize this by the July 10, 2018 target set after the tentative master contract agreement was reached. “The NYSA annual report shows 3,521 ILA members worked as longshoremen, checkers or maintenance workers in the 2017 contract year. A USMX presentation from 2017 indicated that the current contract with the ILA covers about 14,500 port workers. Details of the tentative Local New York and New Jersey agreement were not made available. Talks about local issues could be more difficult in some other jurisdictions.